Joe Florino is in his second year of my MA program in Security Policy Studies. He is currently interning with the State Department, and have interned at two think tanks earlier this year: Hudson Institute here in Washington DC and Observer Research Foundation in New Delhi, India. Before joining GWU, Joe received his BA in Criminal Justice with a minor in International Studies from Fairleigh Dickinson University and interned with ATF in New Jersey. Where do you currently work, intern or volunteer, and how does it fit in with your career goals? I currently intern with the State Department, and this fits with my career goals because I am considering both civil service and Foreign Service. I am looking into applying soon for the FSOE and looking into postings on USA Jobs, and this has given me an opportunity to see the State Department first hand and learn about the various opportunities from the people I work with. 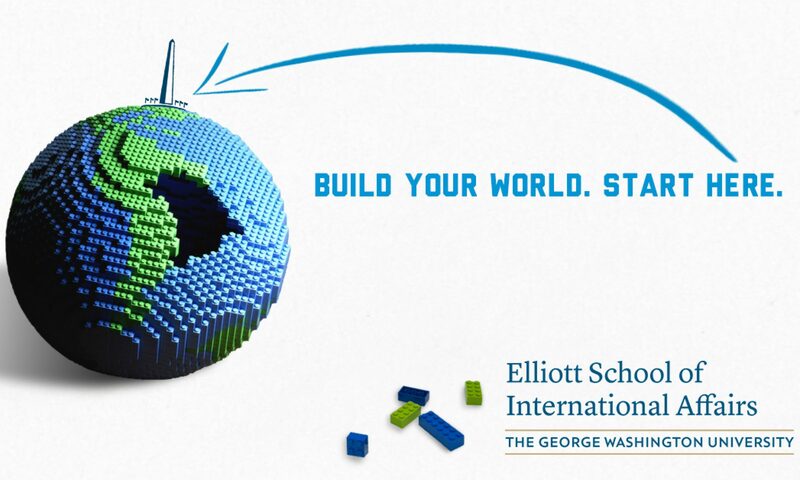 What has been your most challenging work, intern or volunteer experience since starting your program at the Elliott School and how did you overcome it? The most challenging aspect of my internship is the amount of work and time I dedicate coupled with full-time graduate school. While this is relatively manageable, it is more intense this semester due to capstone and its associated work. The way I have overcome this problem is by working with my supervisor to coordinate days that I might have to miss work in order to meet with clients or professors for the capstone. What piece of advice would you have given yourself when you started your program now that you’ve completed your first year? Go to campus besides classes! There is always an event or something occurring on campus, and as a graduate student I often do not show up until night time. However, if you have the chance try getting to campus to explore and enjoy the various activities and events that happen weekly especially while the weather is still nice. If you had to watch only 3 movies for the rest of your life, what would they be? The Good, the Bad and the Ugly; Inception; Interstellar. The #WeAreElliott series highlights current Elliott School graduate students and seeks to answer common questions posed by prospective, current, and incoming students. The views expressed by students profiled do not necessarily represent those of organizations they work for, are affiliated with, or the Elliott School of International Affairs. For more information or to submit questions, e-mail esiagrad@gwu.edu.